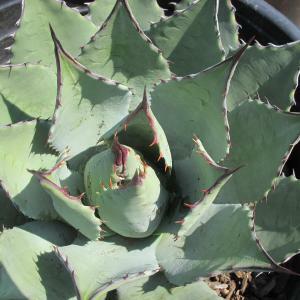 Native to the mountainous regions of Mexico, the mountain agave,Agave montana, is a beautiful and architectural plant, forming a huge solitary rosette of densely packed, spined, deep-green leaves with a white powdery patina. 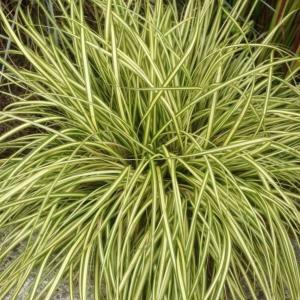 In the wild it is exposed to cool moist cloud and more of a temperate climate than other agaves and is therefore better suited to the British climate than some of its less hardy cousins, and has even been known to survive harsh British winters outside, without any protection. 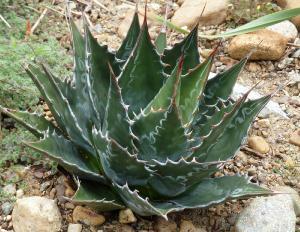 Native to grasslands, chaparral, desert scrub, and oak woodlands in North American states of Arizona, New Mexico and northern Mexico - typically at elevations from 4,000 to 8,000 feet can be found, Agave parryi, often called Parry's agave or mescal. 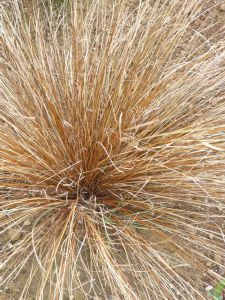 It is a most gorgeous rosette-forming perennial succulent that is noted for its attractive blue-grey to grey-green evergreen leaves, but is also noted for its infrequent but spectacular flowering spikes. 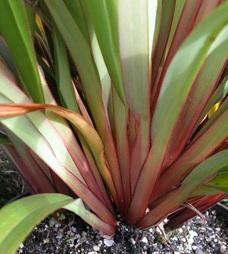 Fascicularia bicolor is a bromeliad so most of its close relatives live as epiphytes in trees mostly in Central America. 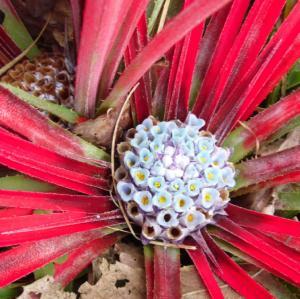 It forms clumps in the ground and flowers in the centre - electric blue and red and when you see it flower, you'll understand why it's also related to the Pineapple.